If your sweetie pie loves pizza pie, Papa Murphy’s has some not-so-heartbreaking savings for you. 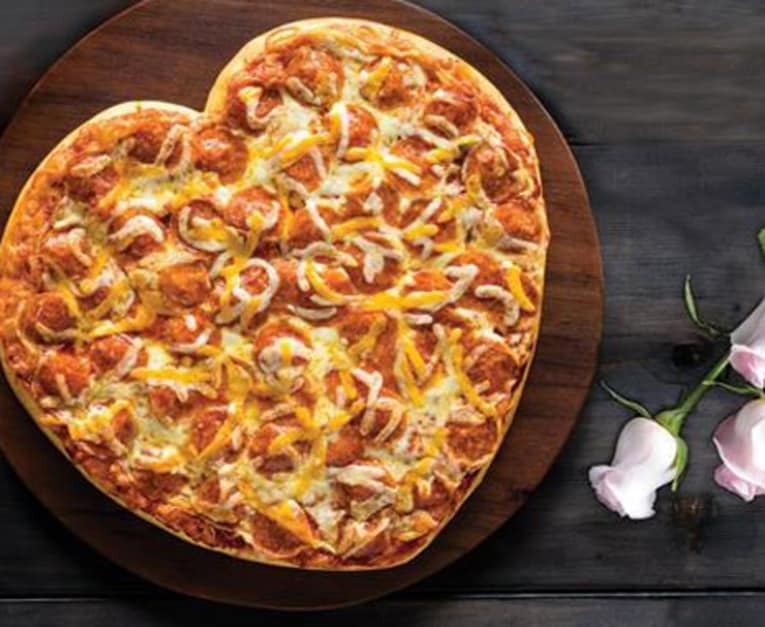 Through Feb. 14, Papa Murphy’s is offering its popular “HeartBaker” pizza for just $9 at participating locations. The lovely pizza is perfect for date night or families celebrating Valentine’s Day at the dinner table. The large pizza, formed in the shape of a heart, comes with pepperoni and cheese. Remember, Papa Murphy’s is a “take ‘n’ bake” joint, so allow enough time for things to heat up…by which, we mean the oven at 425°. For an even sweeter deal, add some chocolate chip cookie dough to your order for a few extra bucks.